Yes, we dream about Mustangs, too! One of the greatest things about attending EAA AirVenture in Oshkosh, WI every year is the people we get to meet. From new clients to old friends, there are often stories to be told. Unfortunately, these stories are not always the best. And we are not talking about aircraft accidents, either. What we noticed on several occasions this Oshkosh was several pilots coming up and telling us that their dream aircraft is out of reach because of insurance and that just is not true. Their insurance agent was discouraging them from reaching for their goals. All aircraft insurance agents at Aviation Insurance Resources (AIR) are pilots and have dream aircraft of our own as well! While we’ll never discourage you from your aviation goals, we will be honest of the insurance costs behind your dream and what the aviation underwriters look for in pilot experience and training. 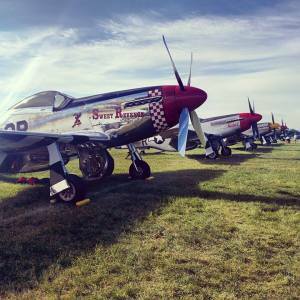 For example, while at the seaplane base at Oshkosh this year, agent Victoria Zajko spoke with a couple who were going to move to their dream home and purchase a seaplane. They had various models in mind and the husband and wife had different levels of pilot experience. They had been told by an insurance agent (who does not specialize in aircraft insurance) to get a more “basic” plane. 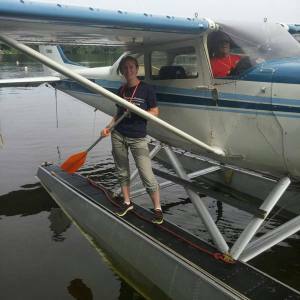 After a discussion on their aviation history and goals, they came up with a plan to receive training in one float plane and upgrade after they had a few more hours floatplane under their belt. At the AIR booth, one gentleman approached president of AIR, Jon Harden, about his worries of insuring an experimental aircraft. After some discussion about the cost benefits of an experimental aircraft as well as the fact that AIR shops all of the markets for the best rate, the pilot walked away with a little more skip in his step. put our years of aviation and insurance expertise together to provide you with the best rate at the broadest coverage available for your dream aircraft. To see how insurance agents who are also pilots can assist with your aviation dream, please contact Aviation Insurance Resources by calling 301-682-6200 or visit AIR-PROS.com today and receive your aircraft insurance quote! You can also follow us on Facebook, Twitter, LinkedIn, and Google+. PreviousPrevious post:Oshkosh Offer: Discounted Aviation Children’s Book with Insurance QuoteNextNext post:Can I Fly My Plane to Cuba?